System of Validation of learning from experience (VAE) set out in the Education Code pursuant to Decree No. 2013 - 756 of 19 August 2013. It sets out an individual right, open to everyone since 2002, to obtain all or part of a qualification or certification solely through VAE, without taking a course. VAE is a way of accessing certification, at the same level as initial education, apprenticeship or continuing education. All certifications (degrees, titles, certificates) may be awarded in this way by the State, vocational sectors or private organisations. To do this, they must have been listed in the |National Directory of Vocational Certification (RNCP) http://www.rncp.cncp.gouv.fr/|xiti|To RNCP|. Any experience can be taken into account, whether acquired through salaried, non-salaried or voluntary activity, provided that the vocational experience (at least three years) relates to the qualification in question. The validation is awarded by assessment panels. At the initial assessment, if the panel does not award the full certification, it may award partial validation, and advise on the steps to be taken by the candidate to obtain the full certification. The path towards total validation of a qualification may therefore be spread over several years. Validation of learning from experience (VAE) is an access route to qualifications. In 2015, 3,943 people obtained all or part of a higher education degree through recognition of the skills acquired by experience. The VAE system in universities or the National Centre of Industrial Art and Design (CNAM) has undergone rapid development. From the start of the VAE (Law of 17 January 2002) until 2005, there was increased use of the system (chart 25.01). Since 2007, the number of VAE awarded at the initial assessment is around 4,000 per year, within an upper or lower range of about 200. To these must be added close to 8,000 higher education qualifications (BTS, DEES, DEETS, DCG and DSCG, DSAA and DMA) awarded in secondary education institutions, including some 6,000 awarded at the initial assessment. In 2015, of the 3,943 VAE beneficiaries, 73% were full VAE (66% were awarded at the initial assessment and 7% at the post-initial assessment). The remaining 27% of VAE beneficiaries obtained a partial VAE at the initial assessment. A VAE application starts when the eligibility application is submitted and ends with the decision of the assessment panel. This time can vary with the result of the VAE. Graduates awarded total validation at the initial assessment have spent less time on average in achieving their qualification (1.3 years) that those awarded partial validation at the initial assessment (1.4 years) or total validation at the post-initial assessment (2.1 years). Nearly nine out of ten candidates assessed by the panel have had support. With 37% of beneficiaries each, the vocational Bachelor and Master's degrees are the most sought after VAE qualifications (table 25.02). The vocational Bachelor degree is most frequently awarded in full at the initial assessment (43%) while the Master's is awarded partially at the initial assessment (46%) or fully after one or more partial validations (57%). Four VAE beneficiaries in ten achieved a qualification in Law, Economics and Management (chart 25.03). Vocational Bachelor degrees are more common in this field of education (53%). Science, Technology and Healthcare is the field of education of 36% of VAE beneficiaries and Human and Social Sciences account for 20% of them. Master's degrees are awarded virtually equally in these three fields of education. PhDs are mainly awarded in Science, Technology and Healthcare (95%), as are the DUT and equivalent (48%). General Bachelor degrees, mainly awarded in Law, Economics and Management (42%), are also awarded in Science, Technology and Healthcare (24%), Human and Social Sciences (18%) and in Art, Arts and Languages (16%). 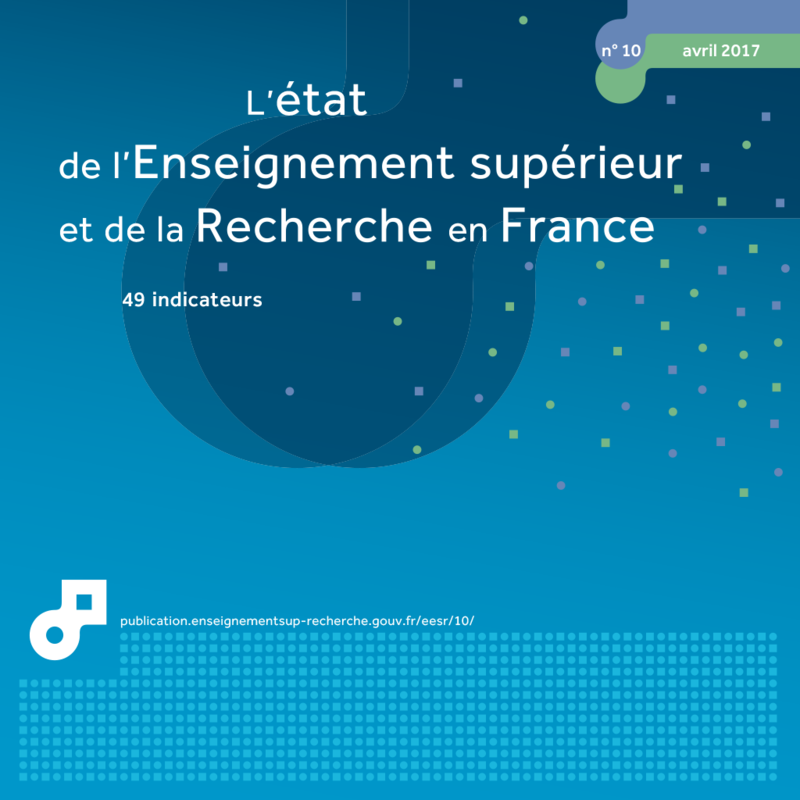 In 2015, only 25% of VAE beneficiaries had at least the baccalauréat beforehand. A large proportion of vocational Bachelor degrees is awarded at the initial assessment to beneficiaries holding a level Bac + 2 qualification (19% of all VAE - chart 25.04) and the Master's degrees to holders of a level Bac + 3 or Bac + 4 qualification (16%). The real added value can be seen for the 11% of baccalauréat holders who achieved a vocational Bachelor degree through VAE to the 12% of VAE of Bac +2 level qualified students who achieved a Master's degree. VAE beneficiaries are generally working people (87%): 44% are senior managers and 27% are in an intermediate profession. 1 All universities and National Centres of Industrial Art and Design (CNAM).